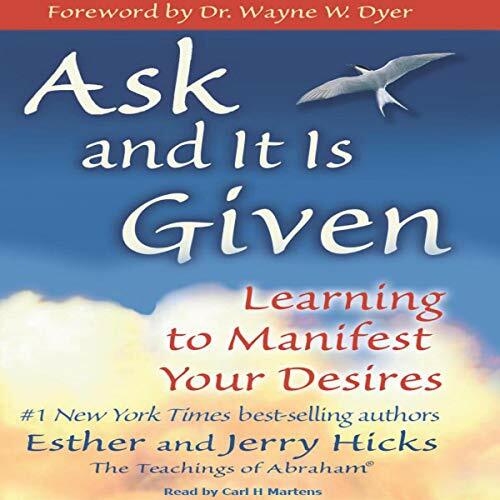 Ask and It Is Given, by Esther and Jerry Hicks, which presents the teachings of the nonphysical entity Abraham, will help you learn how to manifest your desires so you’re living the joyous and fulfilling life you deserve. 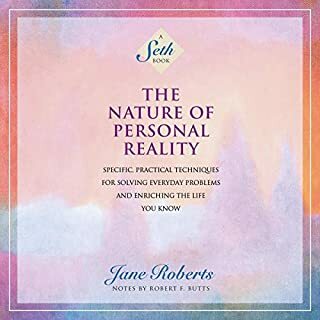 As you listen, you’ll come to understand how your relationships, health issues, finances, career concerns, and more are influenced by the universal laws that govern your time/space reality - and you’ll discover powerful processes that will help you go with the positive flow of life. 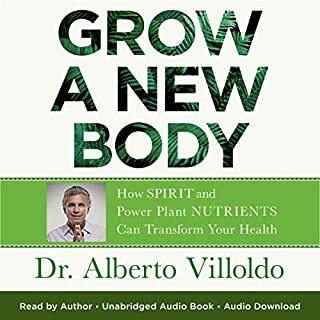 It’s your birthright to live a life filled with everything that is good - and this audiobook will show you how to make it so in every way! 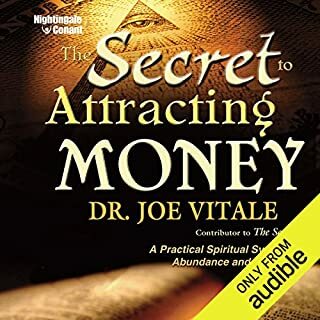 I thought this book explained a lot about the law of attraction. There is so much to take in and an abundance of exercises. Several re-listens are in order to fully digest. It would be really useful to have all books numbered appropriately for reading order. Even if done in the description area. 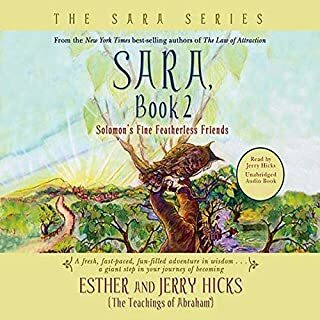 As new person and the amount of books I was a little overwhelmed and bought a volume 2 (there was no mention of this on cover or elsewhere) first then it said to read this book first - which was released this year. Confusing. 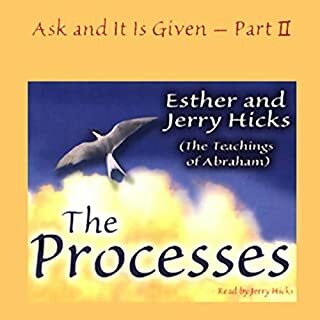 Ch 22 in the book is not the Audible ch 22 - it would be useful to have a visual/pdf guide or overview of this chapter and the exercises with the correct chapter match up and/or Chapter names? if identify-able. 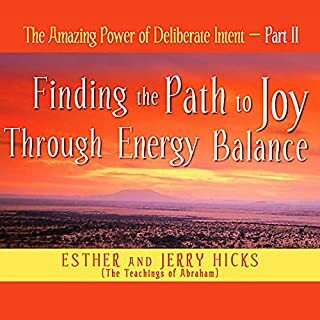 I really enjoyed this book as it supports many other teachings I've learnt. It has given me more hope to be a creator of my life and less living as a victim. I will be using this as a reference book. Loved it! I enjoy Abraham teachings. 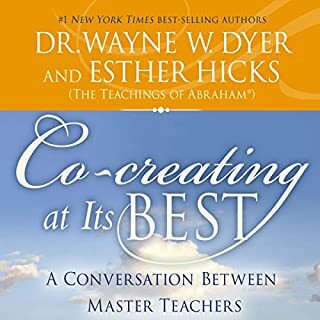 I enjoyed the principles in this book. 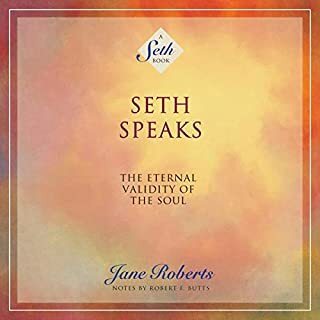 The rating is low as, I prefer books narrated by Jerry &/or Esther Hicks. I struggled the whole book with this narrator. 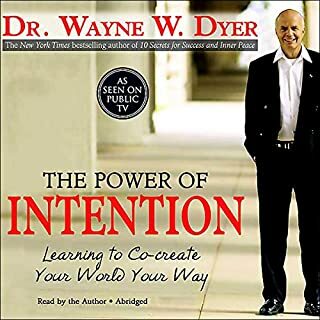 I had seen this book at least a dozen times and heard Wayne Dyer mention it numerous times as well!! I finally got the message and purchased it!!! I AM so happy that I did!! It is life changing!! I have only just begun the processes and only mentally and I can already SEE and FEEL the manifestations taking place! The content in this book is so powerful! It made me think in ways I had never thought before. Because of this book, I was able to let go of guilt that I've held onto for years, over an emotion that was ok for me to feel. Thank you for sharing! This book has much wisdom for living happily. One must be able to believe in the intangible to reap it's benefits however. I say it's worth it to believe! 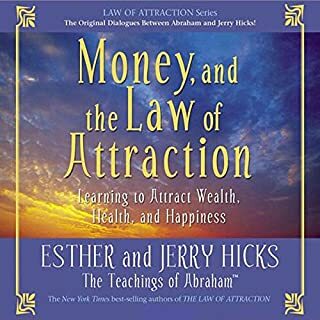 Best book on Law of Attraction, EVER? 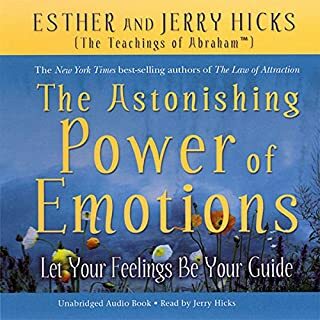 I had read and listened to a lot of Abraham-Hicks books and materials but I was still feeling like I needed someone or something to tell me exactly what to do - and finally this little gem of a book does exactly that in an easy to implement, easy to understand way. 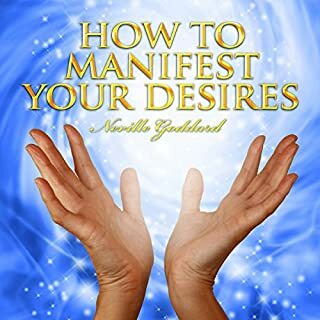 This is the book you need if you've been left feeling confused since the secret! 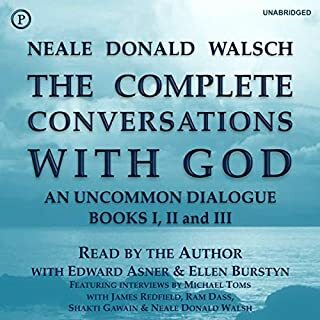 I love how this one simply broke down practical ways to get in to a higher frequency- there was some overlap from other books of course but it was definitely worth the listen. Listening again for the second time. 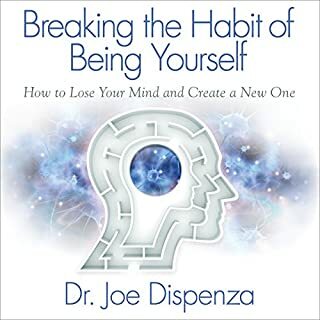 Ties up everything I learned in my self development journey into an easy and loving, accessible format which is truly a blueprint for those ready to receive. Love it! Definitely a need to Reed for everyone. I enjoyed it very much and I am grateful to have read it. 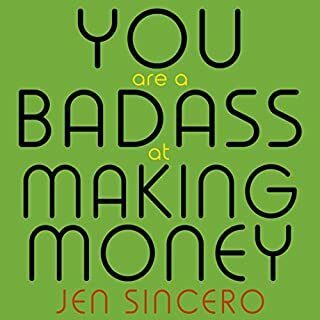 If you feel that you are flagging in your attempts to achieve your ambitions or losing direction in life, this is a great listen. The ideas are constructive and coherent and the exercises are very useful. For some, the advice may seem simplistic but give it a try and see. 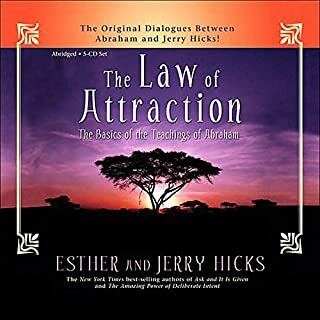 I have found the contents of this audio book (and the Law of Attraction, by the same authors, which I read first) very helpful in focusing my ambition and improving my confidence.. I found this book to be easy to read and understand. It has and continues to change my way of thinking. 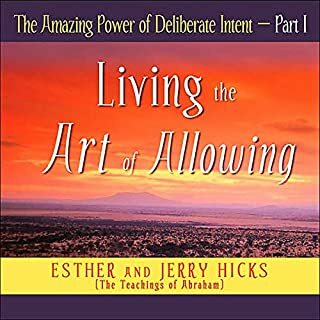 If you decide to commit to the law of attraction this is a must read and for all of thouse skeptical, there are still many lessons that this book can teach you. Brilliant book!!!! buy it you will learn alot. It all makes sense now reading this book. 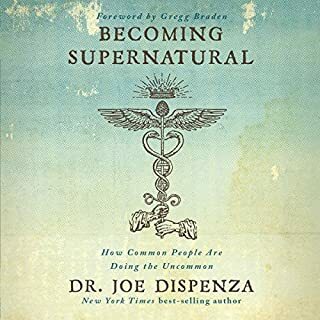 Great book to listen to again and again. Very enjoyable.